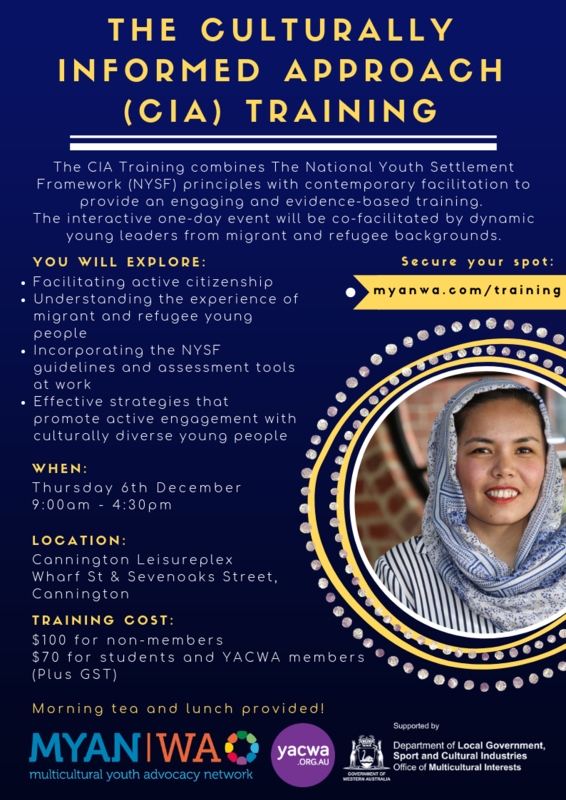 The CIA Training utilises The National Youth Settlement Framework (NYSF) principles in its delivery to provide evidence-based training combined with contemporary facilitation. This innovative training provides participants with practical and effective strategies that promote active engagement with culturally diverse young people. ​The interactive one-day event will be co-facilitated by dynamic young leaders from migrant and refugee backgrounds; presenting unique perspectives addressing youth issues. Are you an unwaged volunteer or community leader? A delicious morning tea and lunch will be provided. If you have any dietary requirements please let us know in advance. The Cannington Leisureplex Function Centre is located above the Cannington Library, which has ample free venue parking. It can be accessed via Wharf St & Sevenoaks Streets. The Cannington and Queenspark Train Station’s are a 5 – 10 minute walk from the training space. The Function Centre is a wheelchair accessible space, on the second level of the complex, with a lift and accessible toilets available for use. If you have any access needs, please let us know. 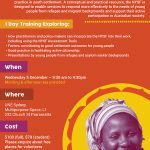 If you have any further questions, please email myanwa@yacwa.org.au or call Imara on 9227 5440.